BONUS 12 Month VIVEPORT Infinity Subscription via Redemption! "At first you wont see much difference from the original vive, apart from reading text but any shooter game that has iron sights or scopes and you'll be blown away. "Its a great bit of kit. Personally i should have got 2.0 lighthouses as the original are a bit short range. "If you don't have the upgraded strap/headphone thingie already and you can afford it then this is a major improvement. The strap system and built in volume are very useful. Screen door is still..."
If you can afford it. It's amazing quality, very comfort, easily adjusted for glasses, 2K O-LED display, built-in earphones, and well balanced on the head. 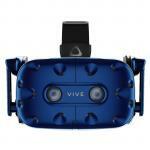 Takes what's already good with the original HTC Vive and makes it's so much better. So much clearer and sharp readable text, etc. View MoreIf you can afford it. It's amazing quality, very comfort, easily adjusted for glasses, 2K O-LED display, built-in earphones, and well balanced on the head. 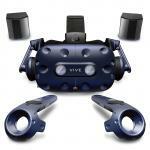 Takes what's already good with the original HTC Vive and makes it's so much better. So much clearer and sharp readable text, etc. It's price tag however is the Headset only. If upgrading from the original, you get loyalty (12 months free VivePort subscription + $100 credit). Very easy to swap and replace, setting up new drivers. Otherwise, you need 2x base stations and 2x controllers to go with it. Setting up your play area environment requires some room and planning, but only is need to do once, then enjoy! Feel like a kid again, discovering video games for the very first time. Most VR content is currently short, but there are a few great full length game gems out there, To get you started, depending on your taste, I would personally highly recommend: "Skyrim VR", "DOOM VFR", "Arizona Sunshine", "The Gallery", "Audioshield" and "Final Approach". At first you wont see much difference from the original vive, apart from reading text but any shooter game that has iron sights or scopes and you'll be blown away. Screen door effect is diminished to an acceptable level and you'll soon stop looking for it. I paid a lot but I don't think I could ever go back. Minus 1 star because it's over priced. If you're thinking of upgrading and you don't have at least a 1080, buy the 1080 instead. 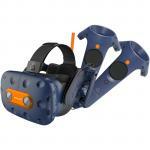 Super sampling on the original vive will give way more bang for buck. 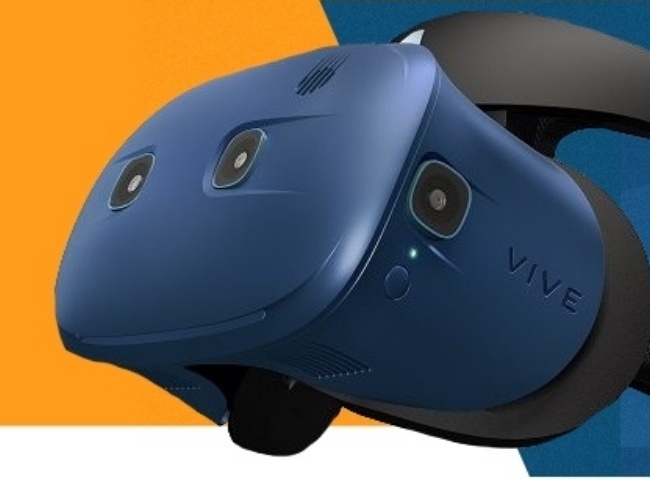 If money is no object then the vive pro is definitely for you.At first you wont see much difference from the original vive, apart from reading text but any shooter game that has iron sights or scopes and you'll be blown away. 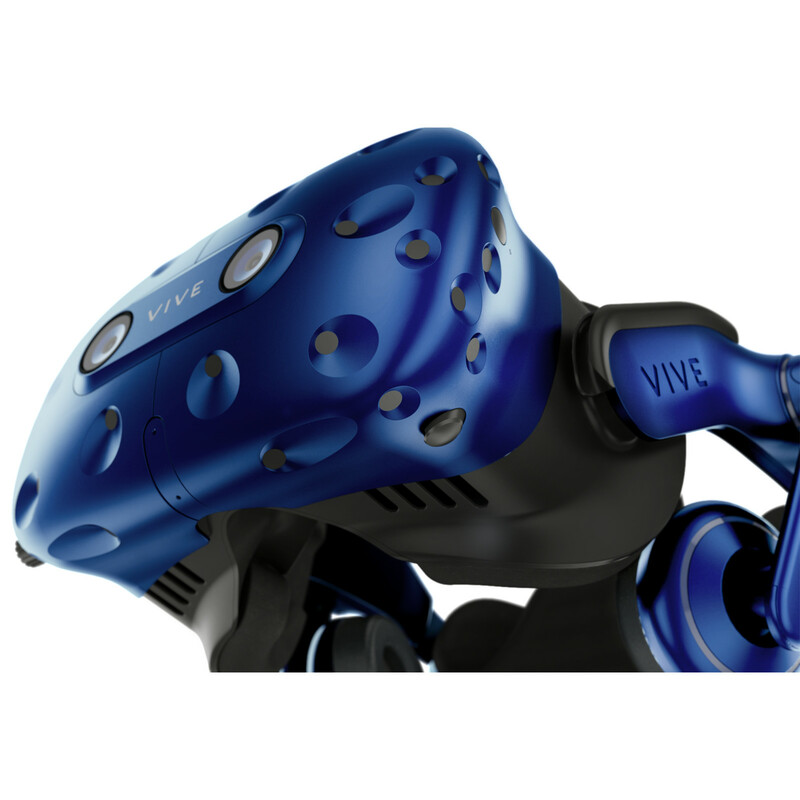 If money is no object then the vive pro is definitely for you. Its a great bit of kit. Personally i should have got 2.0 lighthouses as the original are a bit short range. The resolution isnt amazeballs but its better and yea the headstrap suxed on the original. However my gripe is with the headphones not being able to tuck them away when needed . The cord is a pain and should have come with one of thoes keychain retracter things that pull in and out so it can keep the cable out from under your feet by attaching it to the tv stand or something. It still has the same faults as the original just slightly better pixles per inch . Price is spasticly high too.Its a great bit of kit. Personally i should have got 2.0 lighthouses as the original are a bit short range. Price is spasticly high too. If you don't have the upgraded strap/headphone thingie already and you can afford it then this is a major improvement. The strap system and built in volume are very useful. Screen door is still apparent but much reduced. Performance is great mainly because of the new Steam auto SS settings, the vive on my gear SS was set to 230 on the PRO its 134 so everything but flight sims are rock solid (bummer cause flying in VR is mind blowing). The single cable is waaay better. Overall happy with the purchase, knocked off a star for the price.If you don't have the upgraded strap/headphone thingie already and you can afford it then this is a major improvement. The strap system and built in volume are very useful. Screen door is still apparent but much reduced. Performance is great mainly because of the new Steam auto SS settings, the vive on my gear SS was set to 230 on the PRO its 134 so everything but flight sims are rock solid (bummer cause flying in VR is mind blowing). The single cable is waaay better. Overall happy with the purchase, knocked off a star for the price. Had the Vive since release. its fantastic piece of kit but i always found it a bit blurry and a bit hard to read text in game. Finally decided to bite the bullet and buy the Vive Pro. heaps better no blurry text, fits on the head a lot better and my wife wears glasses and this very easy for her to use. Later in the year will replace the light houses with the new ones so i can have two full working VR head sets. Then maybe my wife will play games too!Had the Vive since release. 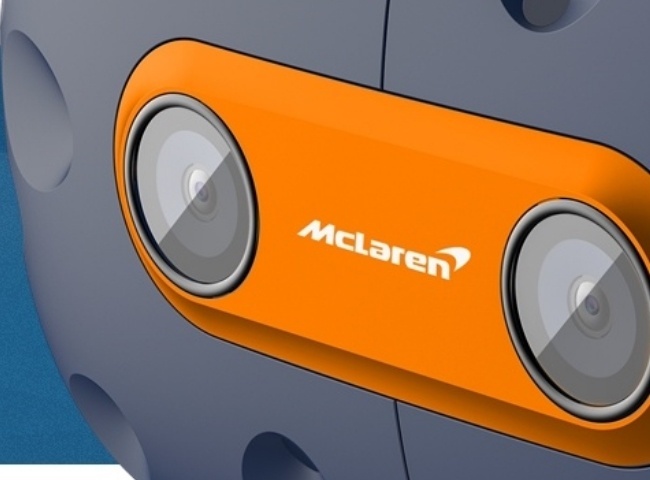 its fantastic piece of kit but i always found it a bit blurry and a bit hard to read text in game. Later in the year will replace the light houses with the new ones so i can have two full working VR head sets. Then maybe my wife will play games too! 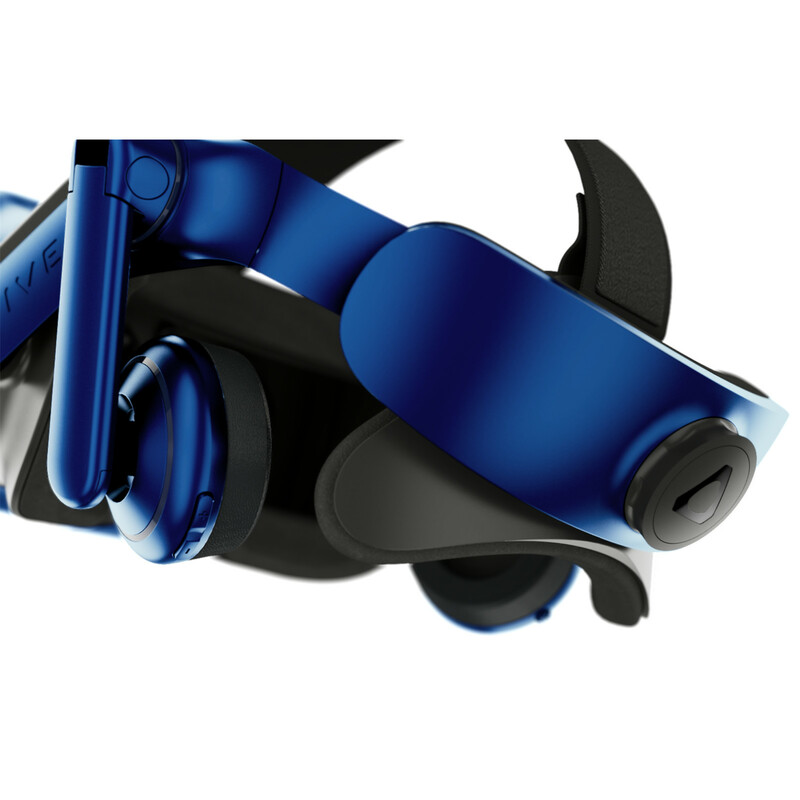 This is a solid step up in resolution for VR, and the comfort is greatly improved compared to the original Vive too. Having used it for a couple of weeks now, I'd say it's slightly better than the PSVR and Rift now, in terms of comfort and adjustability. Resolution wise, once you look closely at something, you can still see the pixels, so we've still got far to go. But again this is a solid step in the right direction. Overall I'd still strongly recommend renting VR first, to check you don't suffer from motion sickness and how you like VR in general. 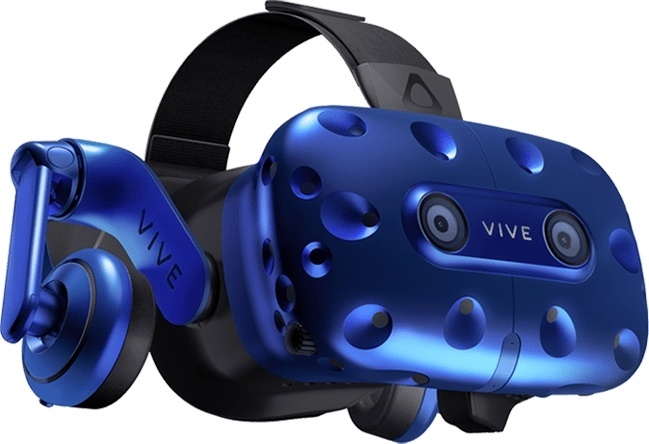 But if you like it, this is absolutely the product to save up for!This is a solid step up in resolution for VR, and the comfort is greatly improved compared to the original Vive too. Having used it for a couple of weeks now, I'd say it's slightly better than the PSVR and Rift now, in terms of comfort and adjustability. Overall I'd still strongly recommend renting VR first, to check you don't suffer from motion sickness and how you like VR in general. But if you like it, this is absolutely the product to save up for! 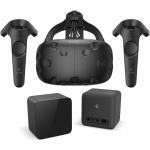 MVRHTC2009 HTC Wireless Controller for VIVE 30+ $200.00 +GST$230.00 inc.
MVRHTC2010 HTC Base Station for VIVE & VIVE Pro - Single Unit 28 $200.00 +GST$230.00 inc.
WARHTC0001 HTC Advantage Enterprise Care Package for VIVE Pro, For Commercial use. Response within 24-hours to email. Expedited Return and Replacement. 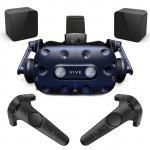 3 $260.00 +GST$299.00 inc.
MVROEM0003 Facial Sanitary Cloth Exclusive for HTC Vive Virtual Reality Headset -50 Piecec/Box 0 $10.43 +GST$11.99 inc. Normally: $1,260.00 Normally: $1,449.00 $1,234.80 ex. $1,420.02 inc.